This binds to the ‘woocommerce_update_variation_values’ event, and loops through the variation options, checking for disabled options and adding in the ‘sold out’ text if needed, and removing the ‘sold out’ text from the active options if needed. Of course this solution would fail if your product option name ended with the string ” – sold out”, but that would just be silly. Add this to your own Custom Plugin, or into your theme functions file. Note: in order for the procedure described within this article to work, you must go to WooCommerce > Settings > Inventory, and ensure that “Hide out of stock items from the catalog” is checked. Without that option enabled the results will be less than impressive. Also, any products that you want to enable this on must be configured to not allow backorders: edit the product and go to Product Data > Inventory and set Allow Backorders? to “Do not allow”. If you use this basic recipe to customize the variable product dropdowns in some other new or creative way, let us know in the comments section below! GREAT JOB ! works perfectly! i simply insterted the code into my woocommerce-functions.php and worked perfectly! Works like a charm…thank you! I have the latest version of WooCommerce which is supposed to show the stock on the product page when a variation is selected. What’s strange is that when I look in variations.php, there seems to be no code which adds the disabled attribute to the options. Is it possible for me to achieve the same result without having hide the product on catalog page? This particular example relies on that setting being enabled, it’s how the out of stock items are detected. That being said, almost anything can be done, it would just require a bunch more coding and a slightly different approach. what about if there are two options, say, size and color. Hello I am trying to get this to work.. it’s working somewhat.. the out of stock variables are greyed out but the text “sold out” is not showing up. Is there something that I missed? also only some of my products are showing the “in stock” text” etc. Thanks, Justin. I just started playing around with this and it works in most cases. 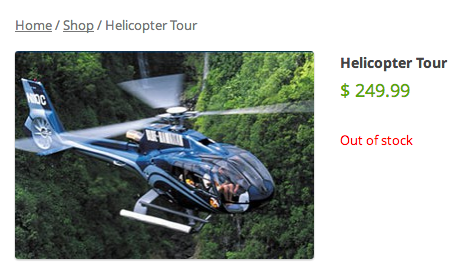 However, I discovered there are reasons an item could be disabled besides being sold out, and then they get mislabeled. For example, let’s say you have a book for sale with a media type attribute having print or e-book options, and a language attribute having English or Spanish options. Both attributes are used for variations. But the Spanish version is only available as an e-book, so the print variation is left out. Then, if someone selects print in the media type drop-down menu, the language menu will show Spanish as disabled, which would then incorrectly get the sold out text added. I haven’t come up with a way yet to alter this behavior since we can’t tell why an item is disabled. Any ideas? Just what I needed for an upcoming project. thanks! I’ve tested in Safari and Chrome. I want to create a custom field for woocommerce product page in the backend and the front end.if the product is for sale then it should show all the details like add to cart and all. if the product is not for sold then it should just display the image and the simple text.Can Some one help me out soon please. I don’t know what I’m doing wrong but it’s not working for me. As a result of having “hide out of stock items from catalog” checked I don’t see the items at all that I would like to appear with “sold out” markings. Similar to your example we have shoes that are in variable colours and sizes. So the stock control is on the product variations level. Hey Patricia, try unchecking the “hide out of stock items” and seeing if that solves your issue. 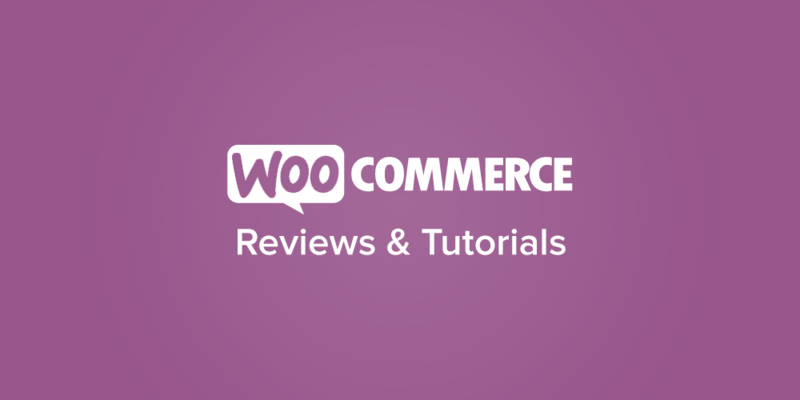 Woocommerce 2.0.10 and WordPress 3.5.1. I’m trying to add your code in my functions.php but nothing’s changed. I’m also unchecked the “hide out of stock items”, and changed the selector on jQuery… nothing. Is “add_action( ‘woocommerce_before_add_to_cart_form’, ‘woocommerce_sold_out_dropdown’ );” still correct for new versions of plugin? Would be really awesome if you could update this code or even make a plugin that would work. Such an extraordinarily useful feature. Have a look at Jack Will website too. They have little icons like S, M, L with X’s on top of them if they are sold out. Really convenient over having to select each option just to find out if a product is in stock. I did see your note at the top of this blog post, regarding WooCommerce 2.x and how this code no longer works, so not sure it’s worth even messing with at this point. So the “Blue” variation has 0 in stock, and if you choose that drop-down selection you will see the message displaying “Out of stock”. However, I have seen other WooCommerce installs do the “graying out” of a menu item, which effectively disables that menu item from being selected when that variation is out of stock. This is what your code above builds upon, with the adding of “sold out” to the disabled menu item. Is there a setting somewhere in WooCommerce Settings>Inventory, or in the Product Variation settings itself that enables the disabled “grayed out” menu item when the product variation is no longer in stock? For the life of me I can’t seem to figure out how to enable this, and it’s driving me a bit insane 🙂 Any direction would be appreciated. As far as a “make an offer”, there’s no off-the-shelf plugin that I’m aware of that provides that sort of functionality. The closest would probably be Name Your Price http://www.woocommerce.com/products/name-your-price/ which allows the customer to specify the price for the product and pay that amount and checkout, but I don’t know if that provides exactly the type of functionality you’re looking for, which sounds more like a bidding system. to my woocommerce cart page. How do I print a price for a product on a sold out Item? Any updates on this or any new fixes? This is exactly what I need to do right now.